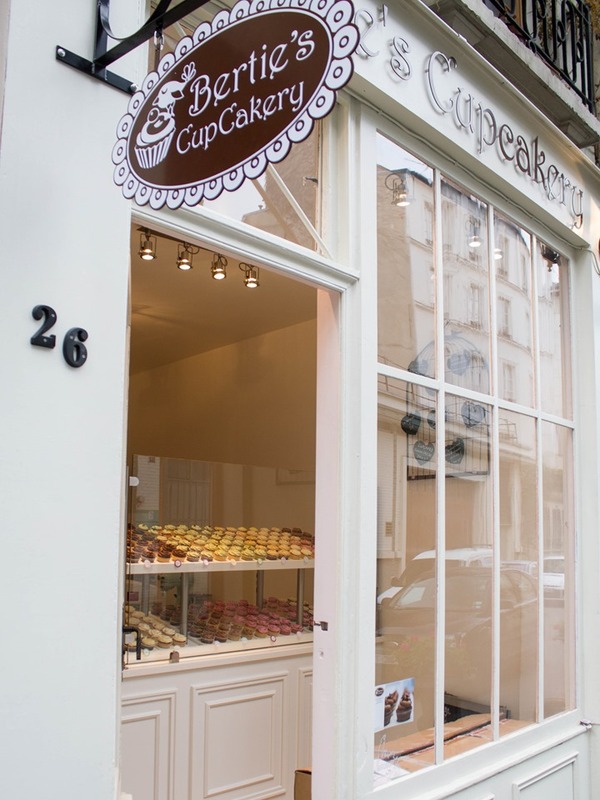 Paris Blog: Bertie’s CupCakery - December Update! Hello from Bertie’s CupCakery! 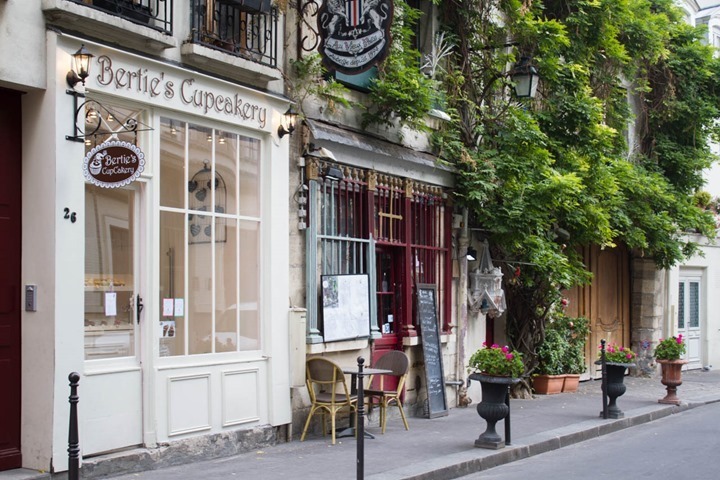 Before I start in on all of the news, I would first and foremost like to thank all of the DCR readers who have personally visited the CupCakery or referred their friends & family to the shop during their travels through Paris. I can’t tell you enough how excited I am when a fellow reader pops in and says “Hi, I read your husbands blog and…”, I think it’s so cool and it means a lot! As you may have read in an earlier post about our opening weekend, opening the shop was one giant adventure! We had lots of great friends who came through in the crunch time and helped with everything no matter how big or small the chore! Now since some time has passed and I’m feeling more at home in my little kitchen thought you might appreciate some updated pictures of the shop, shop exterior, and my Christmas decorating! Big celebrations took place when our signs were FINALLY installed! We had a big waiting game with the city for permission to post our signs. Because we are physically on the island with Notre Dame, rules and regs are much stricter here in effort to preserve the style and architecture. We were accepted without problem or revision, and now Bertie’s CupCakery feels whole! Currently I mostly focus on a predefined set of flavors daily. Granted there are about 13 different options each day, but for the most part 10 of those flavors have been the same from day one. They are popular and the locals have come to know and love them! 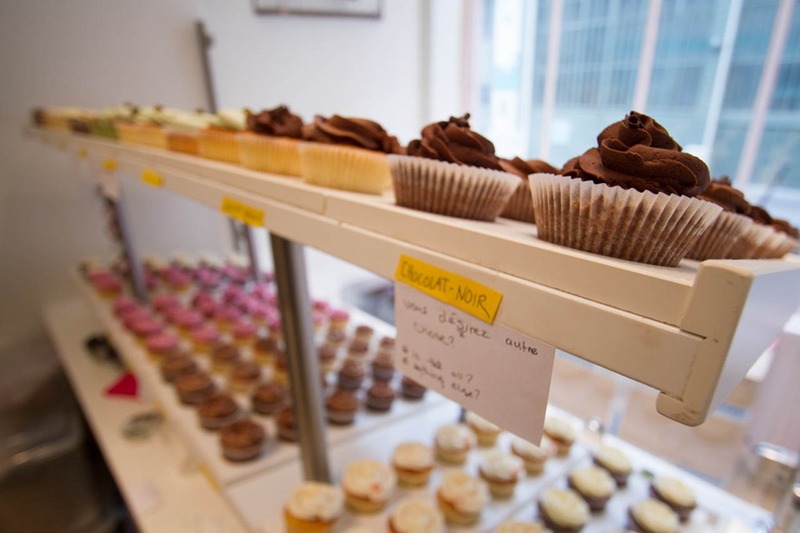 You have to remember that cupcakes are fairly new to these parts, so at first I had customers coming the shop simply to investigate what “cupcakes” were. If I had little cupcake labels titled “Chunky-Monkey”, “Rocky Road”, and “Half Baked” I may never have seen them again! Therefore right now, Pistachio-Chocolate, Nutella Banana, Salted Caramel, and Vanilla are flavors that they know and trust and therefore decided to sample these so called cups of cake. Fighting for the lead of the top selling cupcake are three flavors. Salted Caramel, Pistachio Chocolate, and Nutella Banana. All, in my opinion, are fine choices! Now that I have these locals hooked on my Americanized creations I have started slipping in a new “Flavor of the Day” or “Flavor of the Week”. 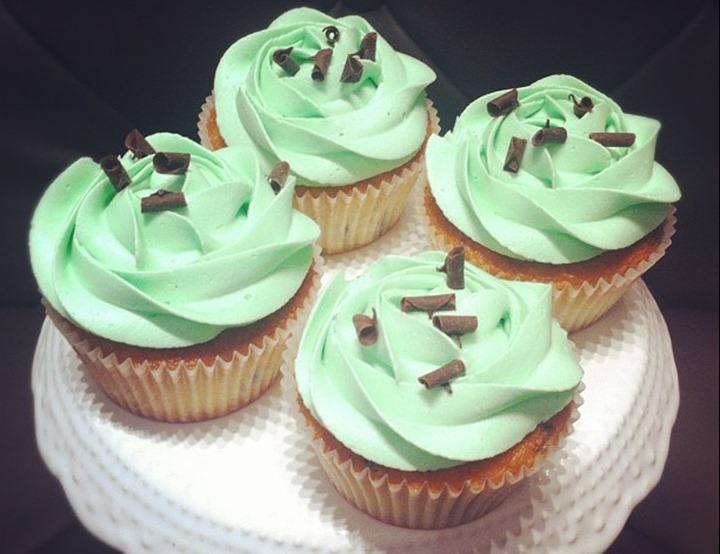 This week the mint chocolate chip cupcakes have been a big hit! What I would do for a few boxes of Girl Scout Thin Mint cookies to put on top! But a real upcoming competitor to the top sellers is a formal “cupcake of the day” flavor who has made it onto the starting line up. Strawberry Lemonade! A strawberry based cake with strawberry and lemon buttercream! 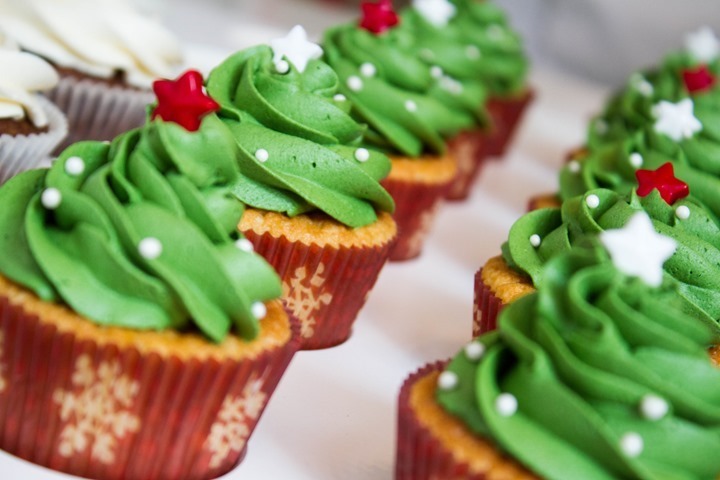 And then of course, we’ve been doing all sorts of holiday related cupcakes over the last month! Starting in the new year, I will be introducing some more new flavors that will hopefully catch on. I am particularly eyeing peanut butter. While this seems like an obvious flavor by North American standards, peanut butter isn’t quite the go-to flavor in the pastry world over here. I’m up for the challenge. 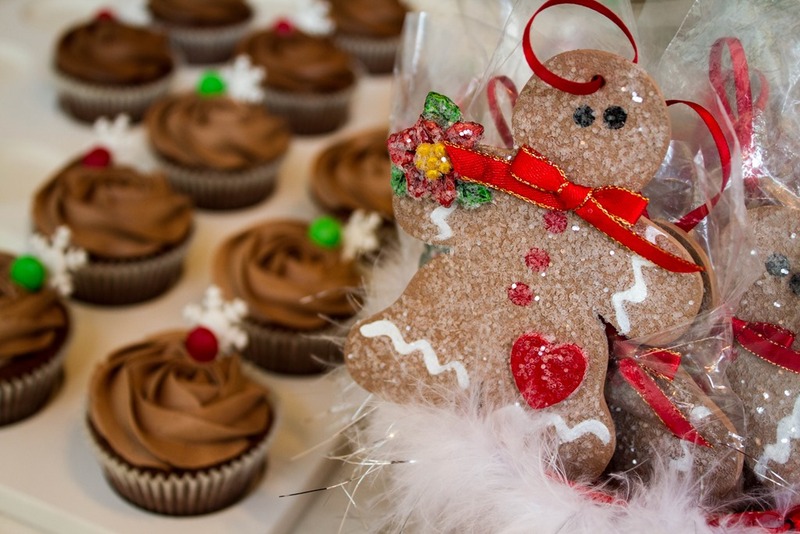 December was a great month for the CupCakery as we attended several events and really embraced the Christmas cheer! We started off at the American School of Paris’s Christmas Boutique. I must say that the families I met from ASP are awesome! I suppose because we are all living abroad and experiencing similar issues (like lack of access to Blue Box Kraft Dinner) that it felt like there was an appreciation and understanding for each other. 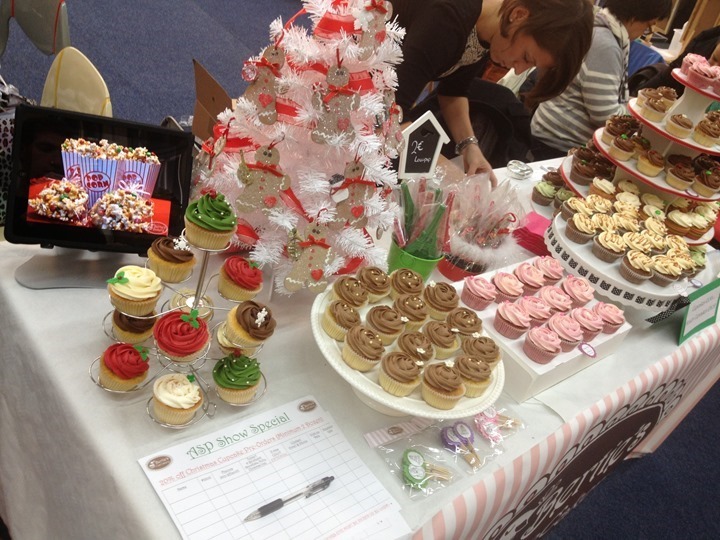 I was thrilled about the amount of positive feedback at the Christmas Boutique; everyone was genuinely excited about finding “real cupcakes”. 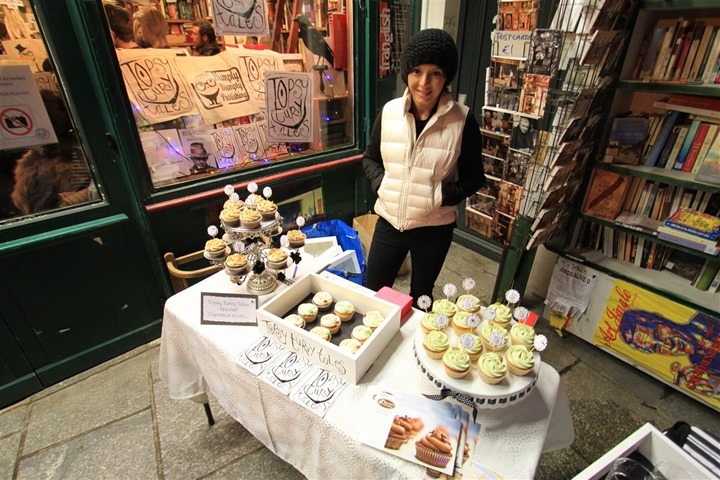 Later the month we were invited to a few events at The Shakespeare and Company Bookstore. Creating custom cakes for a book release and magazine launch were more great opportunities to get the word out about Bertie’s CupCakery! 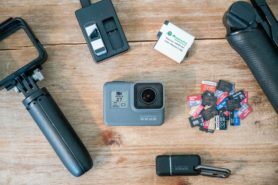 Being married to a blogger I am ever aware of how important media and social media is for a new business. I was so excited when I had a customer return after eating my cupcakes and said “I have to interview you for my blog”. Turns out my customer was a bit of a food critic, married to a professional chef, who also owns a local cooking school here in Paris “Cooking with Class”. I had researched this particular school over the summer when trying to decide what to do with my life! I could not have been more flattered that they had taken an interest in me! If you are interested in what she had to say follow this link to Feels Like Home in Paris. As you may have realized the CupCakery is currently a one man show. I am here early in the morning baking until later in the evening selling cupcakes five days a week. So there are some days or weeks that I might be off doing something else. 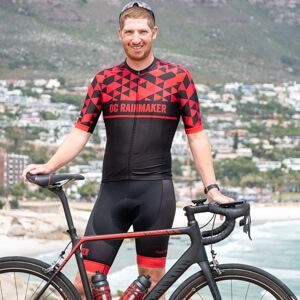 Maybe I am at a big wedding show, running a marathon, or simply getting some R&R, regardless of what I am doing I might not be able to juggle two or three things on one day. Shortly you’ll be able to check the calendar to see if I’ll be around when you are traveling through Paris, or want to place an order. For now though, just check the main page first. 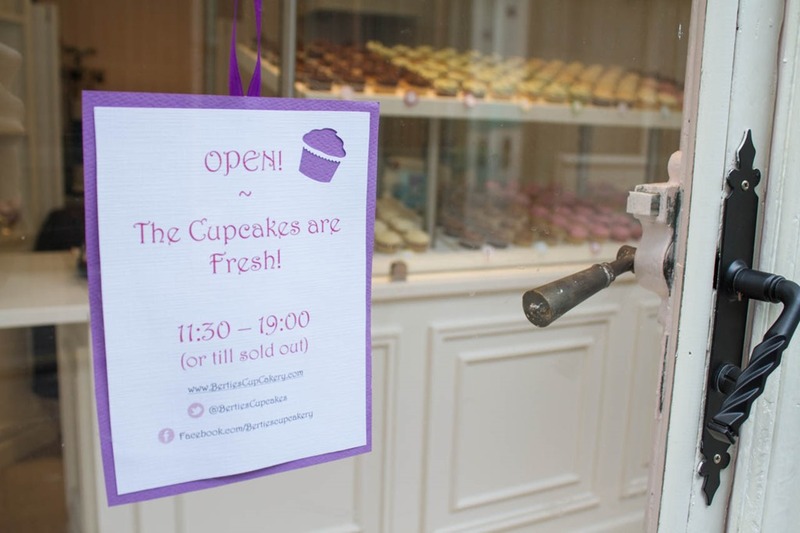 » Paris Blog: Bertie’s CupCakery- June Update! wow! all the cupcakes look yummy. Bon chance! It’s so nice to see you both doing well in Paris! A lot of work went into the shop, but it looks so great! Next visit in Paris we sure will visit the little shop! Your place looks really great. I think Newton or Julia Child wrote the Law that “The thickness of a cupcake’s frosting should never exceed 25% of the height of the cake.” Good to see you’re adhering to this critical equation. The clowns at Georgetown Cupcake and other self proclaimed trendy folk think that cupcakes are best served with a trowel full of frosting. They are wrong. So exciting that you are living your dream! My family used to be in the business of finding families for French exchange students. They used to take home suitcases packed with peanut butter–that’s definitely a flavor that will catch on fast! Bon chance! This is beautiful enough to make a Paleoista give up her salmon!! Lovely lovely lovely. Best of luck to you & Ray. congratulations – i was in paris 2 weeks ago and mentioned to my wife i wanted to check out your place…and we must have walked right past it as we were on the isle most of the time!!! next time. 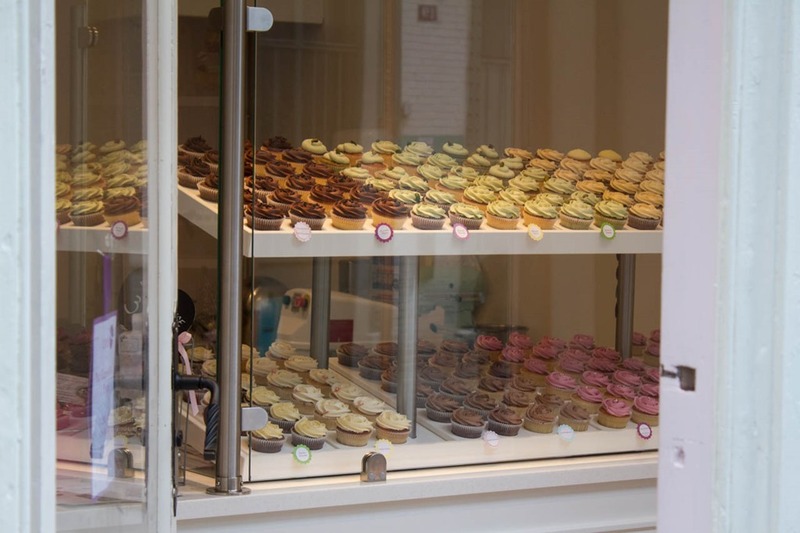 Those cupcakes look indeed very good and the storefront is awesome. 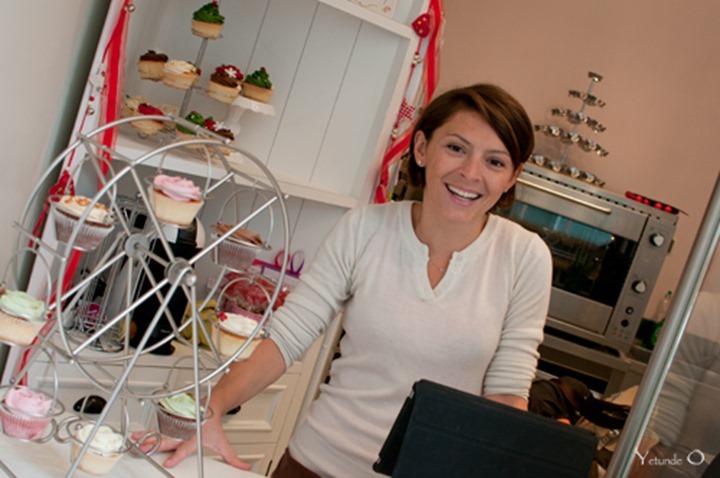 Your shop has everything it takes to become a big hit: honesty, great cakes and a nice atmosphere! i can get you the Thin Mints–i’m on the cookie committee for my daughter’s brownie troop. did you know they freeze particularly well? our cookie season starts in march. 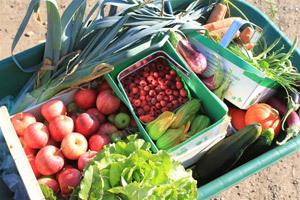 we buy boxes and boxes, freeze them, and use them all year round. Was lovely to meet you when we were there. 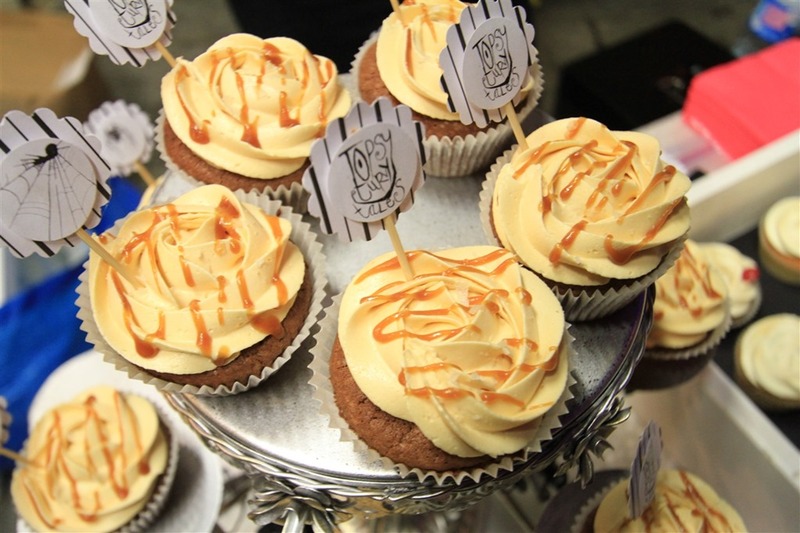 I miss my daily dose of cupcakes! Got used to dropping in everyday. Certainly would have loved a peanut butter one. Yum!! The store looks great! Wishing you continued success and look forward to stopping by for a visit when we make it to Paris. Bertie, your place and your cupcakes look great! I wish you much success! I walked by your shop just before Christmas, peering in the window greedily. I live in the 15th so I rarely come down to Ile de Cite, so I didn’t realize it was so new. 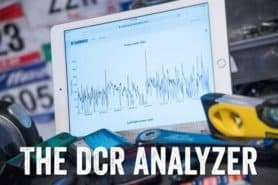 Also, I just discovered the connection with the DCRainmaker via the Paris blog. So welcome to Paris, been here four years and loving it. I will make a point to come by for a cupcake sometime soon. Definitely swing by again – we’d love to have you in and try em out! Sounds like you guys are doing great! Best wishes for the New Year! As a french (living in NYC), I can only congratulate you for opening this business. It is notoriously difficult to start a business in France, so I’m glad as a foreign person, not speaking french, you managed to move to Paris, find a location for your business, do all the paperwork, create a nice little shop and get your bakery open and running in such a record time (and during summertime, no less). That is *extremely* impressive and you should be proud of this. Wish you all the best. Thank you so much – we really appreciate it! Definitely swing by if you’re back in the area! I was looking for a review of a GPS watch recently purchased and I came across your husband’s excellent review. 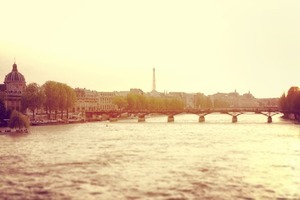 After exploring the website/blog I found the Paris Blog. It’s wonderful and I’ve really enjoyed reading about your adventures!! My husband and I live in the DC area and one of my dreams is to move abroad for a few years. Congratulations on all of your success and if we ever make it to Paris, we’ll be sure to visit the shop and bring you all some girl scout thin mint cookies. All the best! I love how you all have quickly adapted to life in Paris and Bertie your baking and design talents amaze me. I wish I was that talented. The cupcakes look like something out of a book. How could someone resist from buying them. I also love the overall look and feel of the shop. I am interested to see how you all will manage the workload as there is increased awareness of your great cupcake and higher demand. Its a great story all around. Congratulations on your success and living the “dream”. Welcome to France !! I’m also an expat but I live in Antibes where I can bike all winter, and spring before returning to New Hampshire my other home, if you’re ever in the area email me, and I’ll show you around, I haven;t planned any trips to the city of lights so far this year, but I never know, too many things to do, cycling, skiing Tignes/Val D’Isere, and being in Roubaix for the race, good luck with your new venture, cupcakes will be a charming addition to the pastries offered in France. De la chance a vous deux !! we passed by with my wife during Christmas Vacations. Great Cupcakes! Very very nice shop!! The Girl told us you were out testing some new gadjet! Awesome, glad you stopped by! I’ve recently discovered your blog(s) whilst searching for a new GPS (My RC3 should arrive any day). Superb reading! 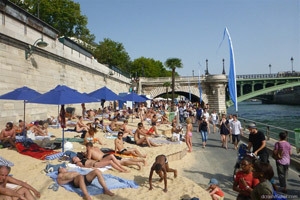 I’m a marathoner, teacher, traveller, dad & husband to a blogger/foodie who is blogging about Paris this month at bbeingcool.com. 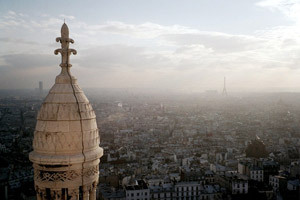 We are hoping to return to Paris in two years with the little tackers in tow. It’s my secret goal to have a run with Ray followed by a cupcake! Until then I will adventure vicariously. Keep up the good work. My husband is being transferred to Paris this Spring, so I’ve been trolling the web for blogs giving advice on living in Paris, and came across this one. I’m looking forward to checking out your shop when I arrive! Who doesn’t love a cupcake? Your shop is so cute and the cupcakes sound/look amazing! Funny to think that cupcakes are such a novel concept in Paris when they are all over the place in the States. Awesome! I am sending my family there, even though I am quite jealous that you live in France, and I live in Seattle (for now)! Funny, a bit of a location reversal (given I’m from Seattle). Looking forward to them stopping in! I tried the cupcakes today and they were truly excellent. Kudos TheGirl! Keep up the good job. Wow – that’s really amazing. Thanks so much for sharing!! !